MOUNTAIN VIEW, Calif., March 19, 2019 — Pure Storage, a data solutions leader that helps innovators build a better world with data, has announced the industry’s first complete portfolio of solutions for any AI initiative, from early inception to large-scale production. 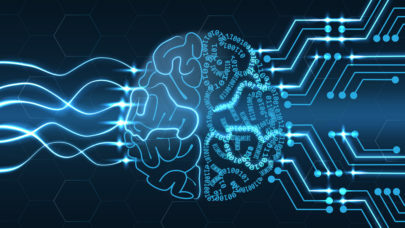 An all-new hyperscale configuration of AI-Ready Infrastructure (AIRI) is designed to deliver supercomputing capabilities for enterprises that pioneer real-world AI initiatives and have grown beyond the capabilities of AI-ready solutions available in the market today. Built jointly with the leaders of AI supercomputing, NVIDIA and Mellanox, hyperscale AIRI delivers multiple racks of NVIDIA DGX-1 and DGX-2 systems with both Infiniband and Ethernet fabrics as interconnect options. In addition, Pure Storage announced FlashStack for AI, a solution built jointly with Cisco and NVIDIA to bring AI within reach for every enterprise. AIRI, the industry’s first comprehensive AI-Ready Infrastructure, is purpose-built to enable data architects, scientists, and business leaders to operationalize AI-at-scale for every enterprise, and was recently named a Silver Winner for Storage Magazine’s 2018 Products of the Year in the Storage Arrays category. The editors of TechTarget’s Storage Magazine and SearchStorage.com named Pure Storage AIRI the silver winner in its annual Products of the Year Awards in the Storage Arrays category. Finalists are judged on performance, innovation, ease of integration into existing environments, ease of use and manageability, functionality and overall value. AIRI was selected as the silver winner amongst ten other storage vendor finalists, ranging from startups to storage veterans.